Services Squad based in the Kemp Mill area. 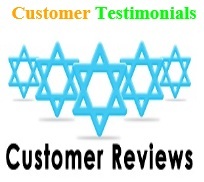 We have references and customer testimonials, from local members of our community. This is useful and important, because you can actually speak with our customers - and most likely, you already know them personally. We encourage you to share your experience and sent it again, we would love to hear from you and get you part of our referrals program. 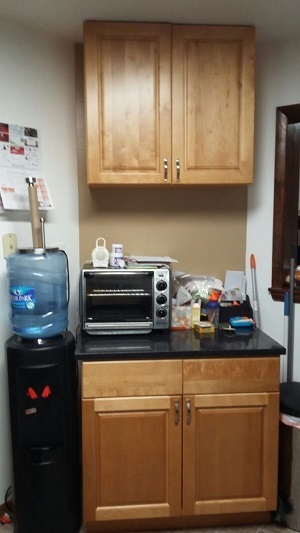 We recently had our kitchen redone by Yosef of Services Squad. We also asked him to perform other smaller jobs around the house including repairing a bath and shower. We were delighted with the beautiful workmanship and skill that Yosef exhibited. What we were most impressed by though was the exemplary midos that Yosef displayed throughout each project. Yosef's integrity and honesty and work ethic forms the backbone of his service. He is very careful to track each and every item purchased and is very careful not to overcharge even a small amount on any job or item. He also is careful to make sure the work is done safely, for the benefit of his workers and his customers. He will be sure to suggest the most economical way to carry out a job and is as concerned as the customer about cost. 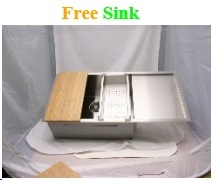 We are very satisfied with our new kitchen, and the way all the other projects, large and small, turned out. Please Click on the images below and see more. Thank You! 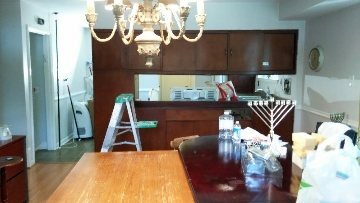 We have hired Yosef at Services Squad for several small and large projects since moving to the community, starting with our move-in and also including a major remodeling of our kitchen. 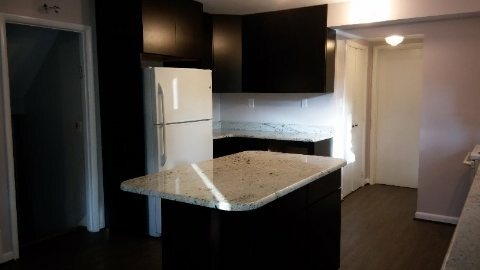 He is always incredibly meticulous about quality of workmanship and cleanliness of the work site, and his pricing is reasonable and very transparent. When he moved us into our home, nothing had even a scratch and was done in a quick and orderly way. For the kitchen remodel, he was a great resource for planning, made sure the work moved according to the expected schedule, and ensured the rest of the house was not disrupted. There were never any surprise or hidden charges, and we were completely satisfied at the end of the project. We continue to work with him when we need a handyman. Thanks so much, my parents were so appreciative of all your help - they can't stop talking about how great you were. I would just like to recommend Yosef from Services Squad for the handyman services he provided us. Also, if you suffered any rain damage under your gutters, etc. 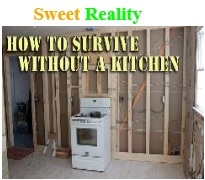 he can handle that, as well as prepare a home to pass inspection in this regard. 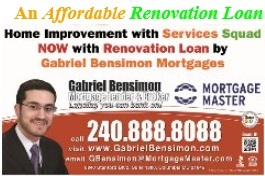 Please feel free to call me as well for further details: Ari: 301-403-8823. A. We would like to highly recommend Yosef, a skilled local handyman that we used for many home projects this week. and very reasonable and straightforward rates. He showed expertise in electrical and plumbing work, as well as smaller jobs. Yosef was able to diagnose the problem precisely, think outside the box, and to get the job done for just $40. Moreover, he called the next day to make sure his fix was working, and that we were happy with the work. We couldn't recommend him more. We found him through Aric Kabillio's recommendation on this list, and we feel lucky that we did. B. I would also like to recommend Services Squad. This past winter they were amazing at fixing my heating unit, and over the last couple of years have done a myriad of jobs for us. a willingness to think outside the box that will save you money and make a quality, lasting repair. Yosef's phone number is (240) 464-1912. If you need handyman kinds of things done, I highly recommend Yosef from Services Squad 240-464-1912. He came on time, did the work professionally, cleaned up after all the work was done. give him a call and he may be able to provide you with what you need. Yosef from Services Squad is excellent! If you are looking for an excellent handyman/ painter, I highly recommend Yosef from Services Squad. He did some painting and some maintenance including a new hall close. He is reasonable, honest, very skilled and did an excellent job. Thank you Yosef, You are the best! Yosef was very efficient and reasonably priced. He even helped with other projects and refused to be paid. I highly recommend his services. Just wanted to praise the service that was provided from Services Squad (240-464-1912). He was very responsive, quick to help, professional, and courteous. He also went above and beyond to make sure everything was clean when he left and put back in order. I highly recommend for your household repair needs! I also want to praise Yosef of Services Squadfor prompt, skilled and reasonably priced service. It is good to have him in the community. [list] Fwd: In the Spirit of being Thankful! Thanks to Yosef from Services Squadfor a great job and customer service. Thanks to his professional recommendations, a small basement room is now a convenient and practical home based store (609 Hyde road). Work was clean, fast and affordable. Re: [list] In the Spirit of being Thankful! Yosef came over today to fix some things in our house and I was so pleased and impressed with his work and professionalism. Firstly, he was easy to contact and communicate with. When he came he was able to accomplish a lot and his work was done well. It is clear that he cares a lot about his customers and strives to do a high quality job. He has a kind personality that really makes it a pleasure to work with him. I appreciate everything he did to help improve our home, and I highly recommend him for any Home Improvement job. Yosef just came to our house on the free work offer and he fixed the plumbing of two toilets and a pipe under our kitchen sink. A few weeks ago he fixed a clogged drain on our basement. Previously, he replaced a shower knob, made a roof repair, repaired some siding, HVAC work, and replaced French doors. We've been very happy with the work he has done for us. He's also always available to answer questions. His prices are always amazing. Yosef Hakim (Services Squad) can most likely solve your problem, at a much lower cost, He is honest, meticulous, and creative. he is remarkably knowledgeable and resourceful, and a real mentch. I second everything that has been said about Yosef Services Squad. 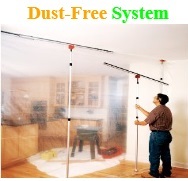 He's a mentch above and beyond all the excellent home repair services that he has done in our home. I highly recommend Yosef's services and if you have any questions, you can email me as well. Fwd: [list] In the Spirit of being Thankful! Yosef has done work at my home and at Ben Yehuda, both for simple tasks and small repairs, to larger pipe work. His quotes have always accurate. In one instance there was a potential complication that could have send the project off budget. He informed us of the risks before doing the work and told us how much the complication would cost to fix if it came up. Fortunately, Yosef's skill was able to prevent the complication and finished the job on budget. Most importation, I trust Yosef. I would let him work on my house while I wasn't at home if need be. I trust his work and his commitment to his customers and to the community as a whole. I also heartily endorse Yosef. He has done work for me, done it well, and has always kept his word. I am sure I will be using his services in the future. Yosef was very accommodating with my work schedule. He gave me 90 minutes and was very fast and efficient with my repairs. I add my own commendation to Yosef of the Services Squad. He installed a computer for us and performed his services with professionalism. He was knowledgeable and paraprofessional in every respect. This happened recently to a local friend. I am not an expert in this field I just thought it was important enough that I share it with the community. A 6-year old dryer had stopped heating the clothes in the dryer cycle. A technician came and replaced the heating element but when he looked at it suggested my friend bring in someone to clean out the vent—the coils in the heating element were bent and one had split. She called several places for estimates. Yosef, a handyman that has appeared on our list-serve many times with excellent reviews, was called as well. He came in with the lowest price and the fastest availability. He showed her how dirty the vent really was—in fact, there was some indication that a fire had even tried starting but burned itself out without causing damage. He explained that cleaning out your dryer vents on a regular basis (1-3 years) is an easy way to avoid far more serious consequences. We are all aware of the potential dangers of fire when Shabbos candles are left unattended, this seems to be another household item we should be taking care of. I want to echo Shulamith's assessment of the dryer vent danger and of Yosef's Services Squad. Yosef is diligent, honest, and reliable mensch, who cleaned our dryer vents. In the process, he gave us, with pictures and clear explanations what was going on. labor and materials (all for free), insisting that it was part of his warranty of his work. [list] Recommendation: Yosef's Services Squad. We hired Yosef at Services Squad to clean a rug and our carpeting. We were SO impressed with his honesty, integrity, and the wonderful job that he did. His prices were very reasonable and he broke down all of the costs for us so we knew exactly what we were paying for. If you need your rugs or furniture cleaned before (and/or after) Pesach, call Yosef! Just in time for Passover, we used Yosef Services Squad to deep clean all our carpets in our home as well as all our fabric couches. 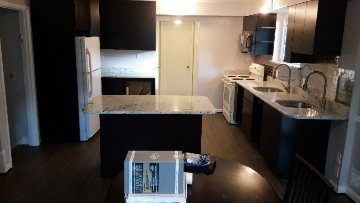 We were happy by the price but even more so we were pleasantly surprised that everything was cleaned and dry that same day! If you are thinking of doing this before Passover, you won't regret it. Yosef Hakim from Services Squad cleaned my carpets and washed my windows. He did an excellent job and I found him to be a caring and honest individual. I am writing to recommend Yosef at Services Squad. He was punctual, professional and dependable. I was nervous about getting a large couch into our basement apartment and we were able to do so without damaging anything in an efficient manner. I would definitely use Yosef again for any of my moving needs and I encourage others to do the same. We had a positive experience with Yosef of Services Squad on moving an item and plan to use him again shortly for long overdue handyman work in our home. Judith and Aric Kabillio - We would like to endorse Yosef from Services Squad for the outstanding, good old-fashioned service that he has demonstrated with his Fire Prevention Dryer Vent Cleaning and other Handyman Services he provided us with dedication and affordable reasonable rates, which we believe its a small cost for our family's safety. 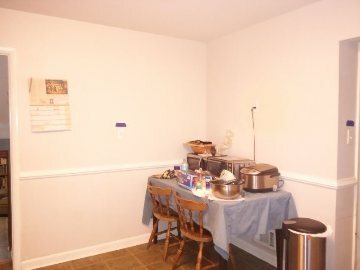 This is what Yosef Services Squad added in our kitchen. Very fast, very professional and very affordable. Please Click on each of the links below and learn more. Thank You!